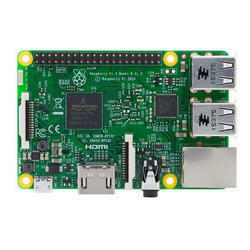 The Raspberry Pi 3 has an identical form factor to the previous Pi 2 (and Pi 1 Model B+) and has complete compatibility with Raspberry Pi 1 and 2. We recommend the Raspberry Pi 3 Model B for use in schools, or for any general use. Those wishing to embed their Pi in a project may prefer the Pi Zero or Model A+, which are more useful for embedded projects, and projects which require very low power. 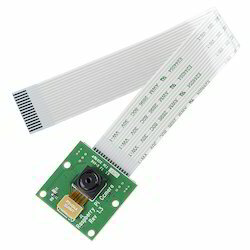 This 5mp camera module is capable of 1080p video and still images and connects directly to your Raspberry Pi. Connect the included ribbon cable to the CSI (Camera Serial Interface) port on your Raspberry Pi, boot up the latest version of Raspbian and you are good to go. The board itself is tiny, at around 25mm x 20mm x 9mm and weighing in at just over 3g, making it perfect for mobile or other applications where size and weight are important. The sensor has a native resolution of 5 megapixel, and has a fixed focus lens onboard. In terms of still images, the camera is capable of 2592 x 1944 pixel static images, and also supports 1080p30, 720p60 and 640x480p60/90 video. Looking for Raspberry Pi 3 Pi Camera ?